Personal Trainer Service Area in Boca Raton, Fl., Deerfield Beach, Fl., Lighthouse Point, Fl. , Hillsboro Beach, Fl., Fort Lauderdale, Fl. Lauderdale by the Sea, Fl., Delray Beach, Fl., and surrounding areas. 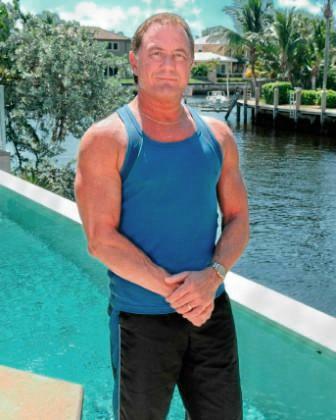 I am Al a Personal Trainer in Lighthouse Point, Fl. area, as well as the areas listed. I am very passionate about fitness, and my biggest gratifications come from helping individuals achieve their fitness goals and acquire a new, and more youthful appearance, and energy level. Everyone wants to look and feel their best, and with my guidance, and support, along with individually designed programs, you too can achieve this. While it does take hard work, dedication, and discipline, it does not have to be a chore, but a fun hour of the day that you spend making YOU a better person. I am not an advocate of rapid weight loss, and believe in healthy lifestyle changes , that are more likely to remain with you, than starvation dieting. There will not be any yelling, screaming, or swearing as on the popular weight loss shows, just understanding, support, and motivation.